The original description of what Usui Sensei came across when the Universe hit him sitting on Mount Kurama was coined by him as: Shin- Shin Kaizen Usui Reiki Ryoho. This phrase means: For the improvement of Body/Mind/Soul Usui Soul (or spirit) Energy Healing Method. 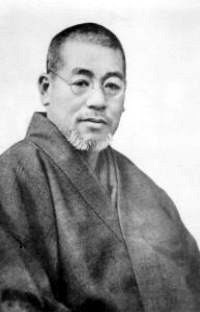 In the seminar manual that he used to give to his students (published by me under the title” Reiki, the legacy of Dr. Usui; Lotus Light Publishers, Wisconsin) we find an interview with him where he is asked the following question: “Is Reiki a Shinrei Ryoho?” (A psychic or spiritual healing Method). The Japanese people believe in reincarnation. Life does not end with the death of the physical body. We are continuously reborn, until we reach a state of maturity that allows us to be reborn into the Pure Land- some kind of Buddhist Paradise. Until we have reached this maturity we keep on coming back. The soul is believed to reside inside the body, and when the body is touched, the soul is touched. When the soul is touched past and future is touched. When past and future are touched, Body/Mind and Soul are taken care of- for eternity. The improvement for Body/Mind/ Soul is twofold. It happens to the practitioner and the client both at the same time. 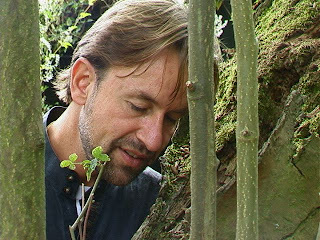 During a treatment as well as during an attunement, the practitioner as well as the client is purified on all levels. Out of your gratitude springs the desire to help others the same way you have been helped. And thus you begin practicing Reiki your self. Because the learning process has transformed you, you may become interested in spreading the work further and you want to become a teacher… And now you pass the healing on to your students. wave in the ocean: is it the same wave returning to the shore again and again- or is it a different wave? You cannot tell them apart, the fabric of life belongs together. Reiki heals Body, Mind and Soul. Every time you touch your self or someone else this week, be aware of the fact that Reiki heals all wounds of present past and future, no matter where they stem from. Whenever you catch yourself with the old habit of dividing yourself into “this and that” this week, please discontinue the pattern and become aware of your Oneness once more.